How do you like to learn about birds? When they don’t fly away Tour the museum, find your favorite bird, dive into a habitat collection, or watch at our year-round feeders (those may fly off but usually come back). In addition to your self-paced visit, you could book a special program for yourself, your group, or students. With friends Got a group? We welcome students on field trips, from pre-school to lifelong learners. Group rates and teacher resources available. Your place Libraries and others borrow our traveling displays. From November to April, we can bring programs off-site to your group. 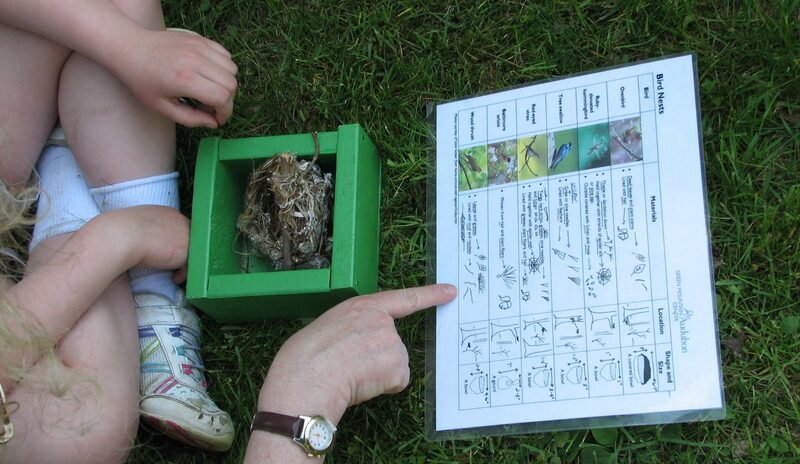 Outdoors Birders of all ages and experiences attend our bird walks. Our variety of pollinator “gardens” keep insects, birds, and others busy. Our trails wander into upland hardwood forest and beside small creeks and a pond. A bird in the hand Intrigued by woodcarving? Attend one of our one-day workshops or start with soap carving. With service learning Contact us if you and your group are interested in community service projects.